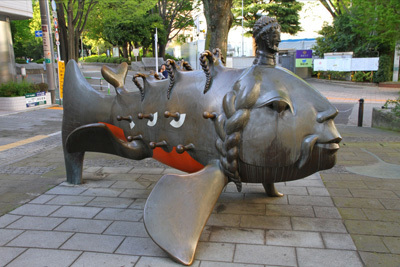 Topic for today is about an object at a park in Tokyo, which I found on my favorite entertainment website. there is a rather unique park. is named after German sister city to Bunkyo-ward. 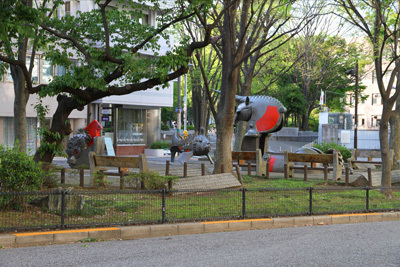 In this park, you can see some interesting objects, created by a German sculptor. The picture above captured the front view of the object. 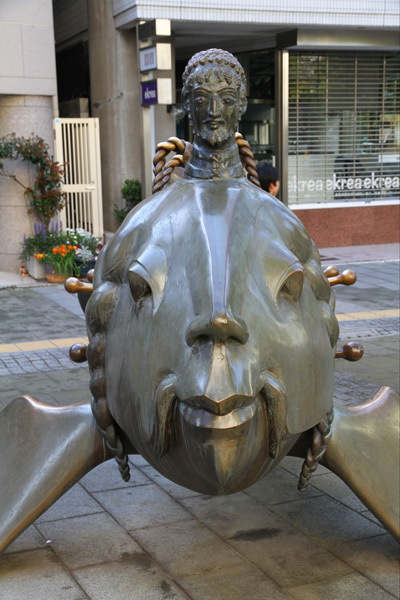 This doesn’t looks very European because it seems it was designed in an image of Japanese carp. 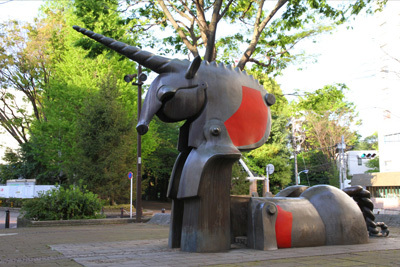 I didn’t know that there is a park with such a unique object in Tokyo! The fish object actually reminds me of ‘Jinmengyo’ or fish with a human face, which was very popular little while ago in Japan as well as TV game, ‘SEAMAN’ lol! Rice Dishes in a Vending Machine: Even Sushi too! ?